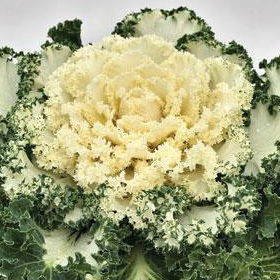 Adding fullness and bright color to flower beds or patio pots, flowering kale and flowering cabbage (also known as ornamental kale/cabbage) are easy care and require only weekly watering once established. 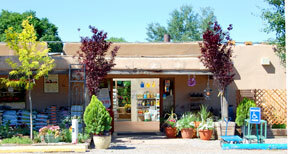 They are edible, but not as tasty as the varieties grown to eat. 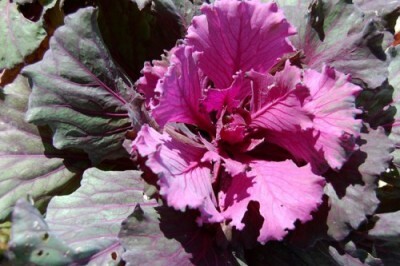 Ornamental kale comes in several varieties, including some with dark purple leaves. 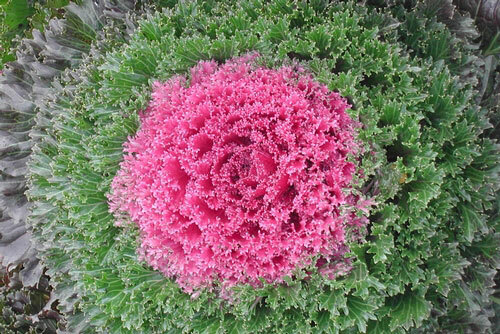 The ornamental kale shown in the top photo is ‘Glamour Red’ F1, Cool Season Bedding Plant Award Winner 2011, All-America Selections. Photo courtesy AAS. Distinguishing Characteristics: Looks like the kind we plant to eat, but has rosy and/or white ornamental foliage.